First bagful are preserved with salt, a few cinnamon sticks and bay leaves, similar to the lemon preserves used in Moroccan cooking. Then the next bagful is made into an amazing silky-smooth, zingy lime tart following Heston Blumental’s lemon tart recipe. Today I am making lime curd based on a lemon curd recipe by Nigel Slater which proved to be a hit with Eva, who was rewarded for hand-juicing numerous limes, with a dollop of sweet yet sharp lime curd on a slice of fresh soughdough bread. Put lime zest and juice along with sugar and butter in a large bowl. Put the bowl over a pan of simmering water, making sure the water does not touch the bowl. Stir the mixture until all of the butter has melted. Whisk the eggs before adding to the lemon mixture. Continue to whisk until the eggs have combined with the mixture. Stirring occasionally with a spoon, cook for 10-15 minutes until the mixture coats the back of the spoon. 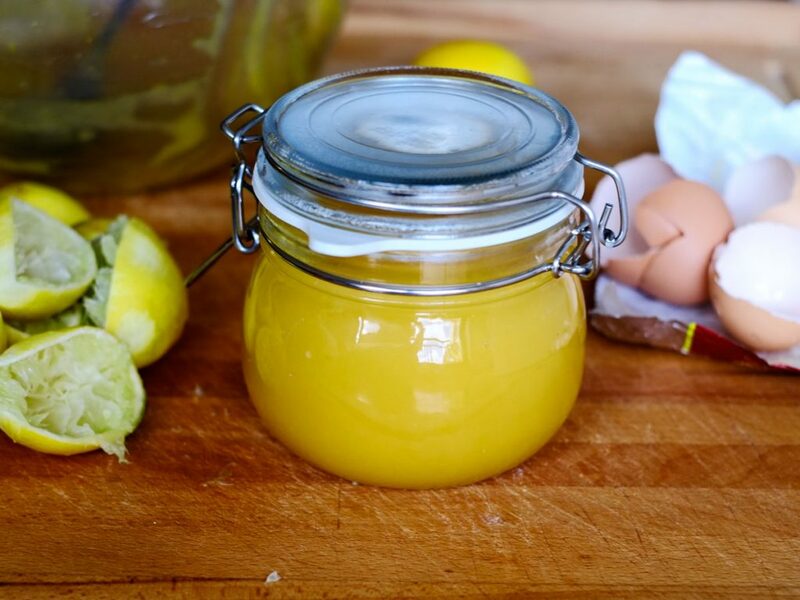 Pour the hot lime curd into a sterilised jar (1 x 500g jar) and seal. Leave to cool and keep in the fridge until ready for use.